Sealless and leak-proof canned motor pumps, as designed and manufactured by the global Teikoku Group, provide customers looking for high levels of mechanical reliability and fluid containment. 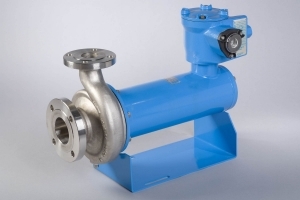 These pumps are the ultimate in centrifugal pumps for the transfer of hazardous, expensive and environmentally sensitive fluids. Teikoku and Chempump products are loaded with features that help users reduce installation, maintenance, and space-related costs. We are an authorized distributor for Arizona.